One of the big negatives of this set was the botched up paint job of all of the nephews’ eye brows. The eye brows were way too big and not character/show accurate. One of our blog readers, Jason Wileman, customizes figures as a hobby and shared with us his process to fix Huey, Dewey, and Louie’s eye brows. Jason was great enough to share his customization process with us, and I am sure that you will agree that the figures look much approved. It’s actually pretty simple. A while back when working on another project (I like to customize figures), I came across the tip of using Novus plastic polish. It’s great stuff, and a bottle lasts forever. You can use it to get scratches out of any sort of plastic. I even used it to polish the face of my favorite watch to like-new condition! Anyway, it’ll remove paint from figures, while leaving the plastic underneath in perfect condition. You just put a tiny amount on a scratch-free cloth and start rubbing away! Just keep away from the eyes on these guys, because it could take off the blue as well. So use just a little amount and some elbow grease, and it’ll rub right off. Now, I got a little impatient, because it takes a significant amount of time, so after getting it about half-way off, I switched to my XACTO knife. The polish has already loosened the paint, so it’ll scrape off easily, and then you can use the polish again on the eyebrow-free head to make it smooth if it got a little rough from the knife. I then used some black acrylic paint that I had lying around and a tiny brush to put on the new eyebrows, but to be fair, they look decent without them, too! I am definitely going to try to fix my Huey, Dewey, and Louie action figures using Jason’s instructions as I think this action figure mod makes the figures’ appearance more accurate and perfect. The figures are still available on Target’s website, if you do not own them yet. 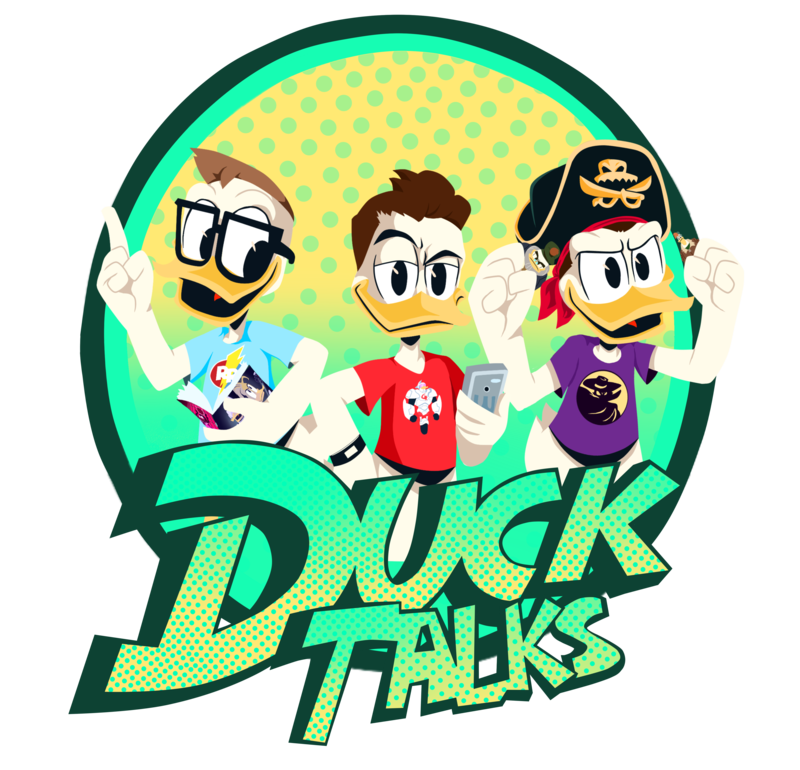 Definitely let us know if you make the action figure modifications and share pics with us on Twitter @DuckTalks or email us ducktalkspod@gmail.com. Next DuckTales New Episode Title Revealed? !